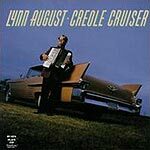 CD review: "Pere Et Garon Zydeco" and "Creole Cruiser"
These two zydeco albums represent a study in contrasts. 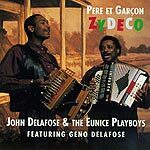 Delafose is an old-line zydeco veteran whose music has that distinctive Louisiana lilt that marks the best zydeco. Carrier's career was built on R&B and he has only recently begun playing zydeco  that syncopatic, exotic blend of Cajun folk music (descended from French folk tunes) and blues with a dash of New Orleans' creole. While August is a native speaker of Louisiana French, musically he is miles from Delafose's spirited brand of dance music. August is often hesitant, and the backbeat of his band doesn't have that same Afro-Caribbean punch that drives Delafose's band. Too, August has only recently begun playing accordion, and while he has a natural knack for it, unseasoned talent can't begin to stand up to the years of experience acquired by Delafose. In fact, August's album seems more an R&B effort than zydeco; the difference between August's and Delafose's music is like the difference between spaghetti and chili: both have the same base ingredients, but August (spaghetti) is missing the chile powder (true zydeco rhythm). Delafose, on the other hand, is seasoned to perfection.